What if Your Cat Is Bitten by Mosquitoes? 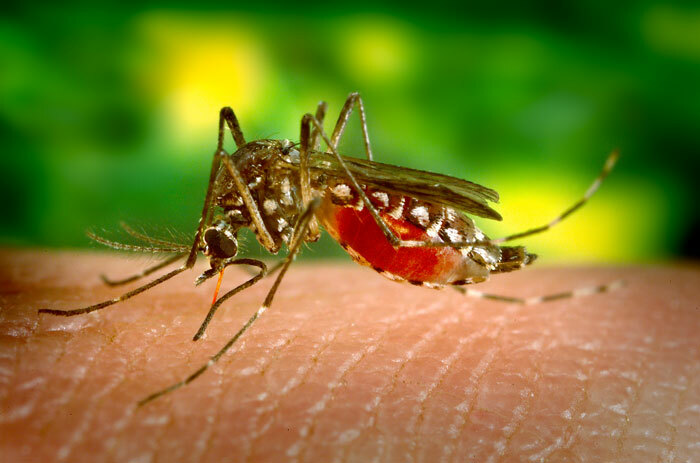 Mosquitoes are an inevitable part of the summer and although a cat’s fur largely protects them from bites, they may still suffer bites on exposed areas such as their nose and ears. Even though a bite may simply result in an irritating itch, some cats react more severely to bites and mosquitoes also spread feline heartworm, which is sometimes fatal. Applying an antibacterial cream to bites can reduce the risk of infection, but you should always speak to your veterinarian if you have any concerns about bites that are slow to heal. Prevention is better than cure though, so to reduce the risk of further mosquito bites, you can take steps to keep these flies away. Avoid stagnant water in your home or yard, as mosquitoes thrive around standing water. Change your cat’s water bowl regularly. Attach screens to your door and windows to stop mosquitoes coming indoors. While you should use insect repellents very cautiously with pets in your home, some plants can naturally repel mosquitoes. Among those you may like to grow or bring into your home are citronella, lavender, lemon balm, marigolds and peppermint.